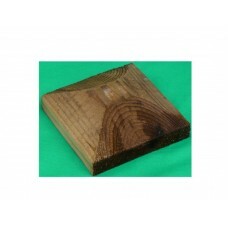 Wooden Post Cap 100 x 100mm with bevelled edges. Suitable for a 75 x 75mm post. Pressure treated brown.